The mentioned bug freeze the game in battle when the Chicken Knife is trying to run its special command (!Escape) and all members in the team have set the Berserk job. After applying this patch, the PCs will run away whenever the (!Escape) command is enabled and nothing will happen in battles where run away is forbidden. 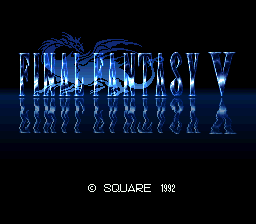 This fix overwrites the data located in the ROM area from D0/2F05 to D0/2F30 so this patch would work in any no-header SNES Final Fantasy V ROM with no editions in that memory area.